I don’t always have faith in many dim sum restaurants, but always have confidence in Imperial Treasure’s dim sum offerings. For example, the Super Peking Duck branch at Paragon, they seldom do wrong. 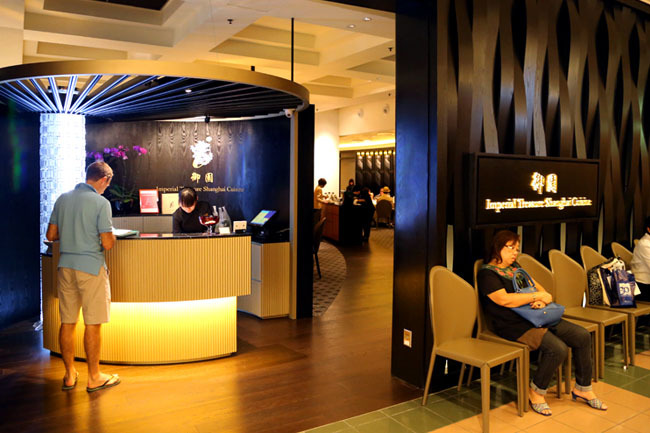 The chain just opened a new concept Imperial Treasure Shanghai at Ngee Ann City, taking over Coca steamboat restaurant. Its Chinese name is called “Yu Yuan”, also the name of the famous garden at the old city of Shanghai. You won’t miss the cocoon-like booth seats from afar, looking rather classy and elegant. I got to sit in one of the booths. The good is it provides a rather private dining experience. The bad? It’s very hot. And almost one of the few times I sweat throughout a meal. The waitress told us the seats behind were worse. The Shanghai Steamed Pork Dumpling ($7.80 for 6 pieces) was almost in a perfect state – thinly wrapped, abundant flavoursome soup, fresh pork without the ‘porky-ness’, and it does not break easily. The skin was really delicate, suggesting the chefs were highly skilled. The three of us ordered two baskets in the end. Both Lamian we ordered – Lamian with Eight Treasure Spicy Sauce ($9) and Stewed Noodles in Soup with Shrimp ($12), were delicious as the finely hand-pulled noodles trickles down the throat. The former wich had more robust taste is my personal recommendation. This was better than the offerings are the usual branches. 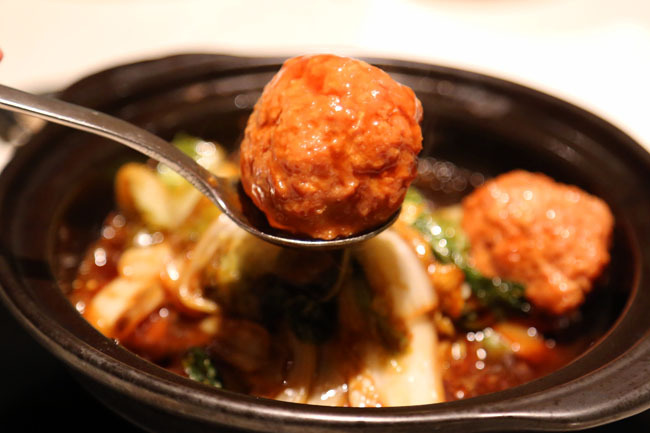 Since the cuisine is primary Shanghai, try some of their culturally authentic dishes such as Braised Meat Ball ($16) otherwise known as “Lion’s head”, or their Shanghainese Fried Rice where every grain is fragrant with no clumps. 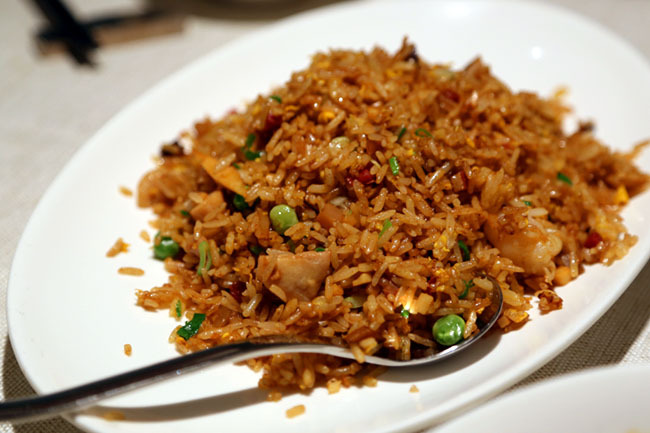 To me, fried rice is one of the hardest Chinese dish to perfect. 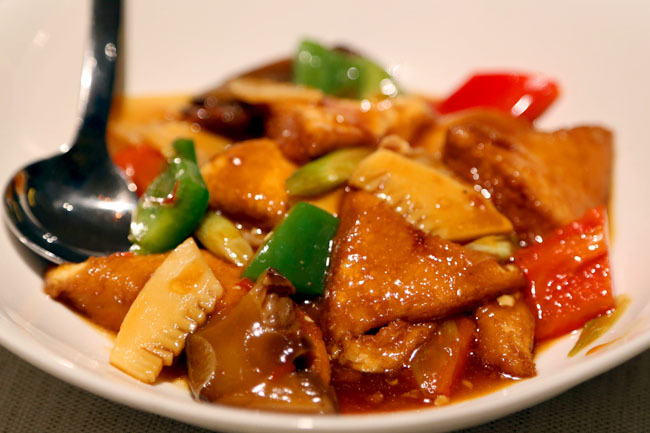 I seldom sing such praises of Chinese restaurants in Singapore. 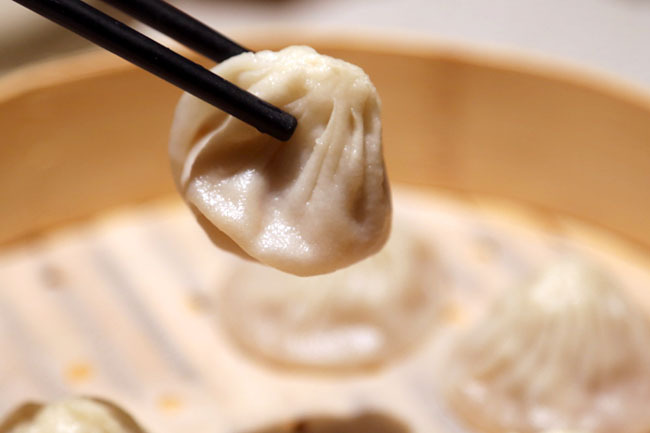 Perhaps I had some bad experiences in the other known brands, and Imperial Treasure Shanghai Cuisine is indeed a xiao long bao, I mean a cut above the rest. 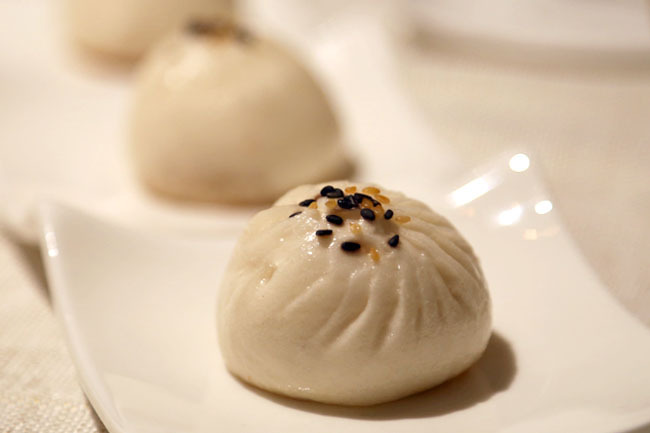 Would you say that the XLB was more “Taiwanese”, a.k.a. 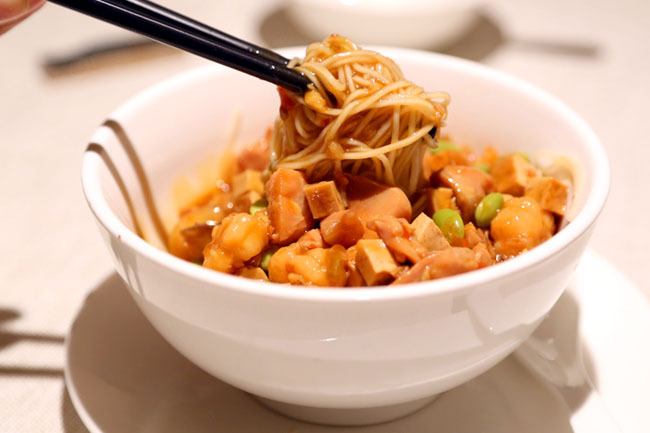 Din Tai Fung style, or was it more “Shanghainese”, a.k.a. Crystal Jade/ Nanxiang?